After School Peace Warriors Training for KIDS & TWEENS! Drop in anytime! This program and is available to both new and continuing students ~ Enroll now! Peace Warriors-in-training will practice cultivating a kind and compassionate inner voice as they are guided through yoga, mindfulness, martial arts, and art activities in a safe and supportive environment. Each week will focus on a different theme. Through mindful movement (yoga and ancient martial arts) and art challenges, students will be invited to notice their inner self-talk and to question what is true. This workshop welcomes beginner yogis and artists, as well as experienced peace warriors. We welcome students who struggle with perfectionism and fear of making mistakes, as well as, confident artists who love creating. 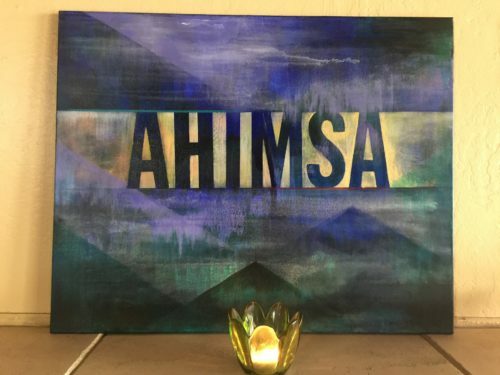 Overall, this workshop is designed to help children connect to their own inner wisdom, as well as, to connect with community through various modalities. 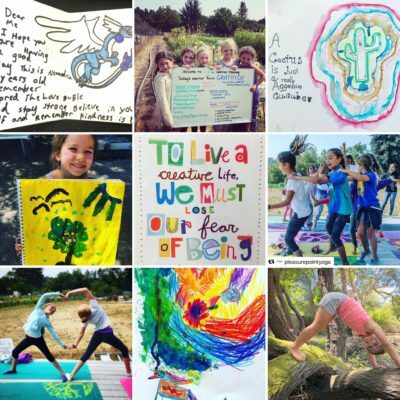 Happy HeART Studio was founded by Ilana Ingber, expert on teaching mindfulness, social emotional learning skills, creative thinking and growth mindset to children and school teachers. 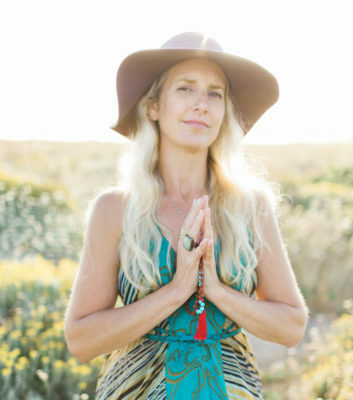 She has her masters in Art and Art Education from Teachers College, Columbia University, her 200-hour yoga certification from YogaWorks, as well as a certification in teaching yoga and mindfulness to children from Little Flower Yoga. Ilana has taught as an educator in both the public school, private school, and museum settings. Ilana is an active member of the National Art Education Association and has presented at National Conventions on topics such as: Assessing Creativity, and Infusing Mindfulness Practices into the Classroom. COST: Click here to register! 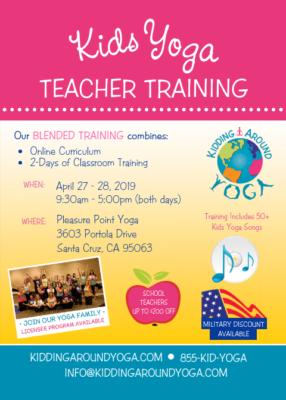 LOCATION: Pleasure Point Movement, located a few doors down at 3603 Portola Dr.
Passionate about helping children thrive in school and at home? Looking for ways to make a difference in the lives of children in your community while earning income? LOVE music? What if, when you are 85 years old, you make other people wonder, “How does she (he) move so well? And what if you never again have to skip a dance class or your favorite yoga pose because of that nagging pain in your back, hip, knee, or foot? Why? Because you know exactly what to do to heal yourself before pain gets the best of you. you will learn in this workshop with Dr. Scott Hadley. Using the Hadley Method of muscle self-treatment, you will learn to fix and prevent the underlying cause of most types of body pain. In a matter of minutes, you will see your strength, flexibility, and form improve. For real. You will learn to heal yourself and maintain your body with mastery, so you can enjoy your activities again and combat the most common types of pain. You owe it to yourself. You deserve to move well. And you don’t want to miss this opportunity. Space is limited, so reserve your spot soon! 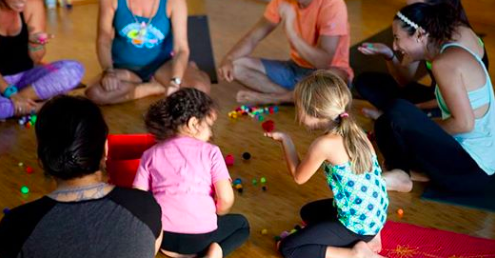 Bring the whole family for a fun, creative, blissful yoga class! This FREE class will introduce classic yoga, meditation, breath work, and stress-management in a kid-friendly style with original music, games, and imaginative stories. We have some mats on hand to borrow, but bring your own if you have. All ages are welcome! Join us for a journey of sound and movement to connect to your inner rhythm and ultimate freedom. It is from this place we can discover who we truly are, spark creativity, and let our light shine. This workshop will include an introduction to the world of Nada Yoga, the yoga of sound and transition into a dynamic vinyasa flow set to live music. Be prepared to leave your yoga mat and dance! We will end with a long savasana and meditative sound bath leaving you feeling nourished, relaxed and connected to yourself. Josh is a musical tour-de-force with a big heart. He has been playing drums since he could tap his hands and is a devout student of Indian & Afro-Cuban percussion. He discovered meditative concerts while roaming through Portugal and his life was forever changed. He believes sound can unite us all and offer deep healing, relaxing experiences in our incredibly fast-paced modern world. He has travelled extensively studying the therapeutic benefits of music & sound and is a Nada Yoga RYT 200hr Instructor. 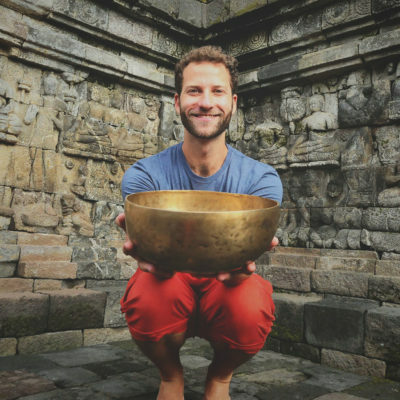 He currently lives in California and facilitates workshops and meditative concerts at various yoga studios and concert spaces. Naushad is passionate about helping people improve their health and resilience through body awareness and mindfulness practices. Naushad’s experiences with competitive sports in his youth resulted in several life changing injuries that brought him through a journey of exploring a variety of therapies to rehab and manage chronic pain. It was at this time Naushad began to explore and practice yoga to bring more balance into his life. After being inspired by many practitioners along the way, Naushad left a job in the health tech industry and decided to pursue a path in health and wellness. 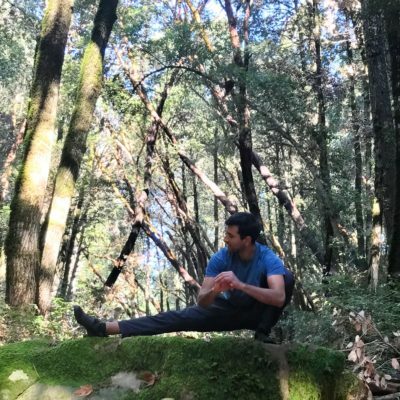 As a teacher and coach, Naushad incorporates a holistic approach of yoga, functional strength, primal movement, and mindfulness practices. 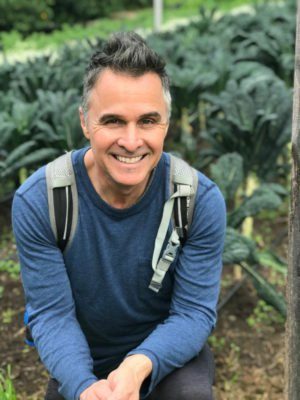 He holds certifications in yoga (RYT-200), fitness (GMB), corrective exercise (NASM), massage therapy (CAMTC), and holistic lifestyle coaching (CHEK Institute). Release fear and come practice creating with non-attachment and non-judgement in a loving environment! This class is for anyone who wants to enhance their creativity and let go of self-limiting beliefs/blocks. Class begins with a warm up (infusing practices from qi gong, kundalini, and hatha yoga). We will center our minds, awaken our bodies, and focus on our second chakra, our creativity center. Students will be led in creativity enhancing meditation to open inner channels of inspiration, intuition, and imagination. Finally students will be led in a visual art exploration as meditation and present moment awareness tool. Let’s use our art practice as an opportunity to increase our inner friendliness, compassion, and positive self talk muscles. This class is open to beginner artists, recovering perfectionists, and experienced artists. All are welcome! Sign up for the 4 week series or come for a drop in! 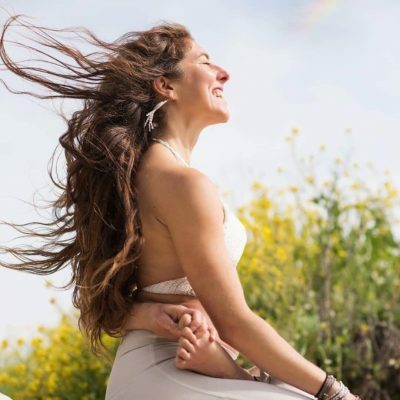 Ilana Ingber, founder of Happy HeART Studio and Happy HeART Teacher Mentorship program, is an expert on teaching mindfulness and creative thinking through art and yoga. She has her masters in Art and Art Education from Teachers College, Columbia University and her 200-hour yoga certification from YogaWorks. She has been a dedicated yoga practitioner since 2011. Ilana has taught as an educator in public school, private school, museums, as well as yoga studios and national conferences. She has over 1000 students from Kindergarten to adults. She began her career in New York City where she worked for the Solomon R. Guggenheim Museum’s Learning through Art Program and Creativity Institute. She later taught at Success Academy Charter School and became the Art Content Lead, providing mentorship and professional development for art teachers across the network of Success Academy schools. Ilana is an active member of the National Art Education Association and has presented at National Conventions on topics such as: Teaching Collaboration Skills through Painting Curriculum, Assessing Creativity, and Infusing Mindfulness Practices into the Art Studio. Additionally Ilana attends neuroscience, experiential education, and mindfulness conferences every year as part of her ongoing learning. Overall, Ilana is most committed to teaching herself and others how to find inner love, joy, and creativity, to create a more compassionate and peaceful world. LOCATION: Please join us in the main yoga studio! Through the power of your breath, old traumas, limiting beliefs and subconsciously held patterns of energy suppressed are gradually released. You are able to not only let go of what you have been holding on to but also transform and integrate the habitual thinking and behavioral manifestations of these suppressions as well. 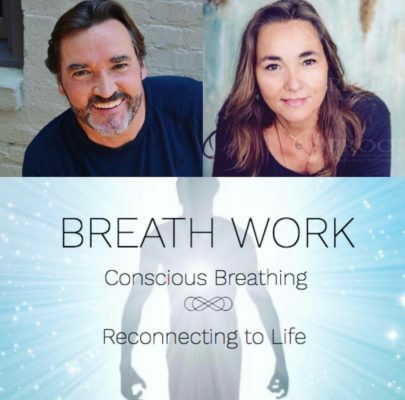 Transformational Breath™ strengthens your body and mind, deepens your relationship with yourself, reduces anxiety and stress, boosts your creativity. * and come with an intention. What would you like to explore, transform, integrate or let go off? 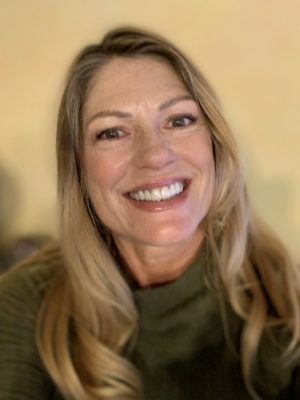 Alex: For the past ten years Alexandra has facilitated for many to find their true bliss and purpose in life, supporting and empowering others through energy healing, massage therapy, Huna, meditation, Transformational Breath™ and plant medicine. Her greatest joy lies in guiding people to embrace themselves and their authenticity. Alexandra is a strong believer in creating your own reality. Limiting beliefs and programming are a big player in feeling stuck and not experiencing the full potential we came with. Undoing those limitations can results in a more, fulfilled and joyful life. Her work is rooted in self-forgiveness and self-love. Attila: A former Marketing Executive for multinational companies for 25 years Attila now facilitates and coaches, committed and serving others to achieve greater spiritual and emotional awareness by transforming existing traumas, releasing limiting beliefs, getting in touch with deep emotions, to find meaning and purpose in their lives. Once being in touch with yourself, self love has the power to bloom to help each one of us to achieve anything we aspire. Thoughts manifest creation, and by giving all, you will receive all…more than you could possibly imagine. He shares his message and techniques through 1-on-1 sessions, group workshops and retreats. Bring empowerment to your yoga practice. Take control over your health. Strengthen your immune system. Balance and restore your nervous system. Experience the nurturing gentle touch of a certified energy health professional of 25 years. Being in resonance with the current season allows for a greater opportunity of health and well being. Through the seasonal teachings of Tung Acupuncture and the deeply restorative qualities of Yoga Nidra, we can tune into the Qi of the season with just the right points. 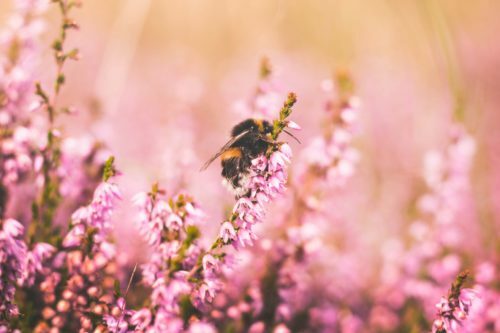 As we move into Summer, which is the Fire element season, our bodies benefit from acupuncture which balances the Fire channels and the stillness of Yoga Nidra. With balanced Fire, we can enter with grace into the joyous stillness that this season has to offer. Space is limited. Pre-registration is encouraged. 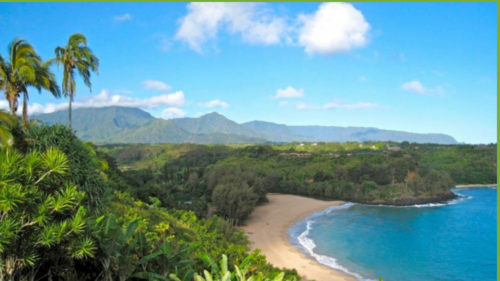 Join us for six days and nights on the sacred healing island of Kauai. Our home for the week is a gorgeous private estate tucked onto the northshore where we will dive deep into connection with the land (aina). We will tend the inner landscape of body, mind and Spirit through daily Yoga, Ayurveda, Transformational Breathwork and deep connection to sacred land. This will be a powerful time of healing, integration and empowerment guided by four devoted and experienced teachers. We will be honoring the transitions of life and season as we prepare for Fall Equinox and the Makahiki, the traditional season of rest and peace in Hawaiian culture. LOCATION: Pleasure Point Movement, PPY’s 2nd Studio located a few doors down at 3603 Portola Dr.
Advance enrollment via MindBody is Required and Will Sell Out! Come dance and sweat with us! This hour long adults’ dance fitness class blends high and low intensity dance moves, toning calisthenics and feel good music to work your body and feed your soul. All levels welcome! Regular class schedule to begin January 2nd : Monday and Wednesday nights 6-7pm! 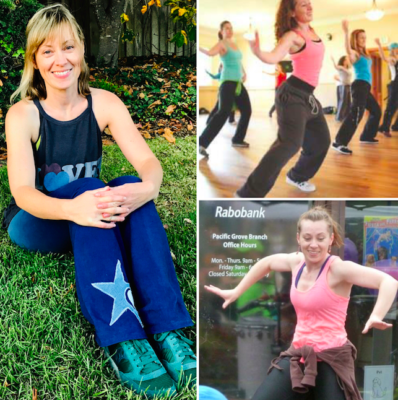 Danu Schoeck is back on the Santa Cruz Dance scene and excited to bring you Heartbeat Dance Fitness! This class combines heart pumping cardio dance in hip hop, street jazz and world dance styles with fitness movements to tone and strengthen. Danu is a well known local dance and fitness choreographer and teacher. She has over 9 years of experience teaching dance and fitness classes and a strong belief in movement as medicine. Come see what the buzz is about! 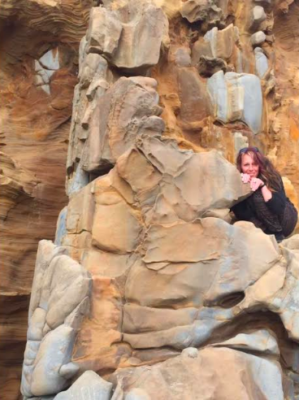 A message from PPY’s Owner (Megan McAllister): Danu is BACK on the Dance Scene and joining the line up of classes at Pleasure Point Movement (Pleasure Point Yoga’s new and forming second studio). Pleasure Point Movement has crafted its class offerings to inspire students to get out of their heads and back into their hearts – – all centered around movement of some sort (stay tuneded for much more!!!). Danu is one of my favorite dance teachers of all time (Hip Hop, Street Jazz, Zumba). Danu is such a talented dancer and a prolific teacher. She may be small in size but her dance moves are HUGE! She is such a light – – her radiant personality, contageous smile, encouraging teaching style, and dope choreography had classes packed when she was teaching!! No matter the level of dance experience, Danu will make it FUN!! Get ready to drop it like it’s HOTT!!! LOCATION: Pleasure Point Movement, PPY’s 2nd Studio located a few doors down at 3603 Portola Dr.. 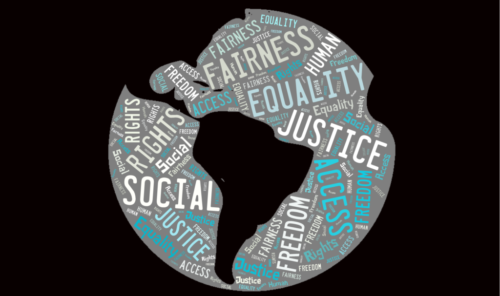 This monthly reading and discussion group is a safe container to hold difficult conversations about social justice issues in the yoga world. Through examining modern yoga’s relationship to race, class, gender, colonialism, activism, trauma, body positivity, and agency, we will explore a variety of complicated topics that inform the ways in which we in the West consume and create yoga culture. Each month when the new book is announced, participants will receive a list of guided questions to accompany the readings. The Yoga for Social Justice Book Club is 90 minutes long and open to all bodies, all ways. When the body is relaxed and the nervous system is in a ‘resting state’, we are much more apt to heal from within. Sometimes in our busy lives we don’t always have the time to “hurry up and relax” or sometimes finding relaxation itself can be a challenge. This class is designed to guide you into a deep and conscious relaxation of body and mind, to a place between dreaming and waking. Yoga Nidra is often referred to as ‘Yogic Sleep’. It is said that 45 mins of Yoga Nidra is equivalent in benefits to 4 hours of traditional sleep. Join us monthly for this call & response chanting from the Bhakti Yoga Tradition – a joyful practice of devotion. Pleasure Point Yoga’s Monday morning Satsang is a unique (and free) opportunity to delve deeper into the esoteric teachings of Yoga in the company of one another. It is a great introduction for anyone who is curious to learn more, and an open invitation to revisit and share in the supported space of the Sangha as we deepen our practice. We will be taking up the Yamas and Niyamas starting July 16, exploring each of the qualities as a practice in and of itself. Patanjali calls the Yamas (nonviolence, truth, non stealing, chastity, non hoarding) the Great Vow or Mahavratam. This is a wonderful time to join the circle and you are always feel free to drop in as we share the path of yoga. “Satsang” is a Sanskrit word derived from “sat”, meaning truth, and “sanga”, meaning community. In Satsang, we gather together, in community to seek truth or, more simply, to be with the truth. 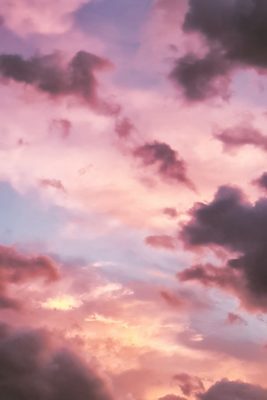 We create the space with chanting, light, and intention, gentle rituals that help us to dedicate this hour to our study and practice and to one another. Tap into your primal nature and discover ways to move and control your body mindfully through animal movements and bodyweight training. This class is based on the GMB method of physical autonomy to help you attain confidence and freedom in your body to do activities that are meaningful to you. We will practice by developing a balance of strength, flexibility, and motor control. You will learn to assess your capabilities, identify what areas to focus on, and be guided through drills you can practice and play with to build a solid foundation for developing new skills. This class is for all levels! We focus on the basics and progress based on your individual abilities. Get ready to move, play, explore, and crawl around! Please bring water to drink during class. This all levels class is a practice of elevating into flow state and tapping into your inner power and creativity through mindful movement. Let go of self-judgement, embrace your inner child, and allow yourself to freely move. Elements of yoga, dance, fitness, Qi Gong, breathwork, and meditation are all combined and woven together. Each class will explore a different theme and related movements and begins with a warm-up focused on breath. You will be guided through movements to practice at your comfort level and then transition into free form movement expression. You are encouraged to explore and play around. You don’t need any prior movement experience, just yourself and an open mind. Come join and discover your flow! Naushad is passionate about helping people improve their health and resilience through body awareness and mindfulness practices. Naushad grew up playing sports in his youth and then Division I soccer at Santa Clara University while following his dream. His experiences on the field resulted in several life changing injuries that brought him through a journey of exploring a wide variety of therapies to rehab and manage chronic pain. After being inspired by many practitioners and curious to learn more about our ability to heal, Naushad left a job in the health tech industry and decided to pursue a path in health and wellness. The journey has led him to working in the fields of fitness, physical therapy, and massage therapy. Click HERE for Flow Lab Video! 1st Friday: Bring a Friend for FREE! Join us EVERY 1st Friday of the Month! Grab your BFF and start your weekend off right at Pleasure Point Yoga for 5:30pm Flow AND 7:15pm Restorative Yoga!